Christmas is nearly upon us and I haven't even thought to buy anything yet, least of all Christmas Cards. Then I suddenly had a memory pop up of when I was a small child sitting at the table making my own Christmas Cards. And I remembered the fun too! All that glitter splashed over the table top, everything turning to sparkles as I pasted and glued my way through a whole bunch of home made cards. The funny thing is that I had forgotten how easy it is. Christmas cards today are so expensive and not everybody can afford to buy the selection that have many different pictures. If you buy the cheaper Christmas Cards they tend to have exactly the same picture on every one. Not everybody likes that. I know I like to send cards that have a variety of scenes. The good thing about buying cards is that it is very simple to just write your name and the message inside and post them. But where's the fun? The idea came to me when I was browsing in a local craft shop. I suddenly stopped what I was doing and gazed up at the colorful assortment of pens, multi colored paper and card. And then I spotted something I absolutely loved when I was a small child. Plasticine! Multi colored bendy strips of dough that you can make anything out of. I was standing there trying to figure out a really good reason why I should buy it, and thinking, maybe I can take up modelling clay again, when I turned around, and spotted the glitter pot. I felt like a child again. So, I thought, why not? Armed with my bag of colored cards, multi colored pens and pencils, and the all important glitter, I headed home and started on my project. So far I have made three Christmas cards, and there will be more tomorrow. I may even add some paints too. I really enjoyed making them, and I am sure you will too. First of all make sure that you have everything you need before you start. This may sound obvious, but the process of making the cards involve glue, glitter and paint or pencils. It's a messy combination if you don't get the order right. And you don't want to be sitting there drawing a lovely picture, or painting then suddenly realise that you have got the wrong glue. All the necessary pieces are available from your local craft shop. 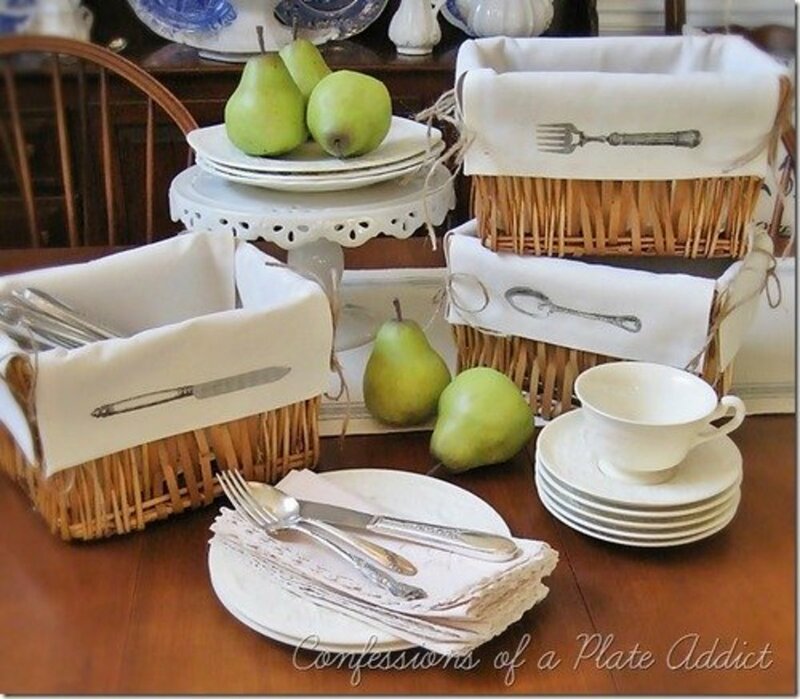 Lay out a large tablecloth to stop any bits and pieces sticking to your nice polished dining table. And place newspaper on the floor near your chair. It's much easier to do it this way, instead of spending hours hoovering up later. Any size card that you prefer. Before you start, a good idea is to print a pattern of a Christmas tree from your computer. Then cut out the shape and place it over green felt and cut around to get the shape as perfectly as you can. Before sticking to your card, place the felt on the table and cut small round shapes from the multi colored felt. Then stick them onto the tree. Leave them to dry, and while you are waiting, draw the background pattern on your card. At this stage you should have folded the card to produce the line down the middle. You don't want to stick the tree in the wrong place. A good idea for the background is to either draw a picture, or just get the paper glue and run it around the card in patterns or swirls. Then before it has a chance to dry, sprinkle the glitter, don't try and follow the pattern, just cover the whole of the card. You will find that when you stand the card up, the excess glitter will just fall off. Make sure you do this over a piece of paper or another card so that you don't waste glitter. Then get the ribbon and run it around the edge of the card or down the front. To make sure that it stays in place, gently glue the back of the ribbon and place it on the card. Then get a large makeup brush and gently brush it into position. Then add the Christmas tree. Try and make it centre on the front of the card. Just leave to dry. You can of course use photoshop to produce your pictures, but to get the effect in the picture, you can easily do it yourself. Just paint the card red, then when its dry, take a small piece of cloth and dab it into black paint, making sure that it is not to thick, maybe add a small drop of water to the paint. We don't want it to look too dark, just a slight shadowy grey or black. Simply slide the cloth around the edges of the card and smudge with your fingers. 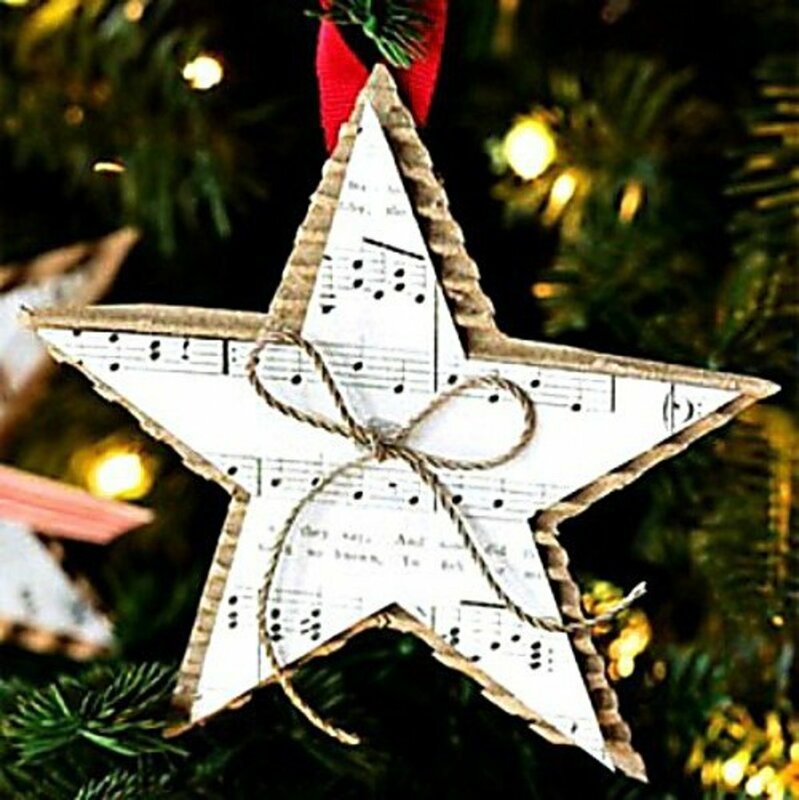 Then you can add your christmas tree, or make a stencil and sprinkle glitter into the shape making sure that you either do it straight on to wet paint or glue. We have all got loads of photos of our families laying around in the house. Most of these never see daylight as they are kept in drawers or albums. So a good way to show them off again is to make them into Christmas cards. The great thing about using old photos is that you can dress them up. Maybe add a felt Christmas hat to one of the children in the picture. Or cover the surround with cotton wool to make it look like snow. There are so many variations that you can do. We have been concentrating on the front of the card, but don't forget that you have to put a phrase or poem inside the card too. You can have fun with this as you can make the poem funny, or whatever you think fits the personality of the person you are sending it too. And of course you can decorate it with as much glitz and glitter as you like. The card is not just about the outside, you have plenty of space inside to use your imagination. Why not try a pop up part? Get another piece of card that is the same size as the one you have made earlier. Using the ruler, make a square about an inch into the card all the way around. 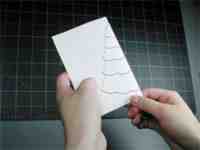 Then draw a simple Tree or whatever you wish onto the middle of the card. Don't make it too complicated. Just a simple picture will do. Make sure that it covers half of the left side and the same on the right. So the seam goes through the middle of the card. Once you have drawn your picture, make sure the tree has segments along it. (see Picture right) then fold the card and cut along the segments making sure that you don't cut it out completely. When you have done all of the segments, turn the card inside out and push through the segments. Then stick it to your ready made card underneath. 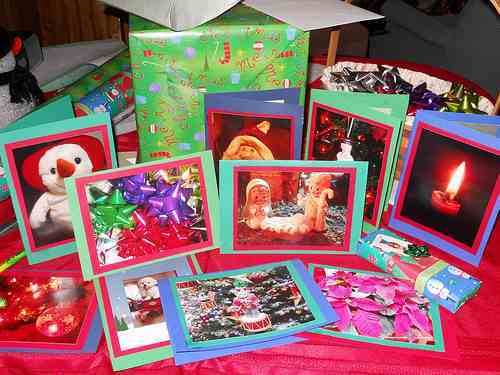 These are just a few ideas on how to make your home made Christmas Cards. I had forgotten how much fun it is! A Very Clever Lady, This Card Is Amazing! A step by step guide on how to scrap copper wire and get it ready for the scrap yard. Including prices per pound. A step by step guide on how to check an IP address if you find yourself a victim of online bullying. This will not tell you exactly where they live, but will set your mind at rest to know what country or county they live in. Make great fashionable chokers using ribbon, lace and broken jewelry! Easy, cheap and fun! Are you desperate for money? Here are a few simple and easy ways on How to get money in one day! Try it, its easy! Step by Step guide on how to change a Duvet cover. And read my funny account of how I nearly get eaten by the stupid thing! Leather Furniture can be a great addition to your home, but can sometimes leave a nasty smell. Here are a few tips on how to get rid of those horrible toxic fumes. Thanks so much Thelma, yes it was fun when I made these, I should have made some this year too, but I have left it a bit late now! lol! What a pity! I have already bought Christmas cards for sending to my friends. Maybe next year I´ll try this. Well done Nell. I love making DIY crafts. Thanks. Happy weekend! Thanks john, its great looking back at when we did this with our kids, and I bet you can't wait to make some more Christmas cards with your granddaughter, how lovely that will be, wish my son would make me a grandmother! lol! Oh, how I remember doing this at Christmas. When my brother, and sister, and I were small my mom would break out the stuff to make cards. She would save all the cards from the previous year and we would cut out pictures on the cards and reassemble them to make a Christmas scene. Sometimes we would cut out pieces of old Christmas wrap, and even cut out pictures in the newspaper. I remember cutting out a picture of Santa holding a Coca Cola bottle (they used to be on billboards all over the country). I carefully cut the picture out trimming the Coke bottle off. Then I would glue him down with other stuff to make a colorful card. My mom was a little bit strict on the glitter, though. We had to glitter parts. So we would put a little glue on Santa's cap and make a glitter ribbon around it, or a scarf, or put some on the eyes of reindeer, etc. It was so much fun and between the four of us we were able to make a lot of cards! 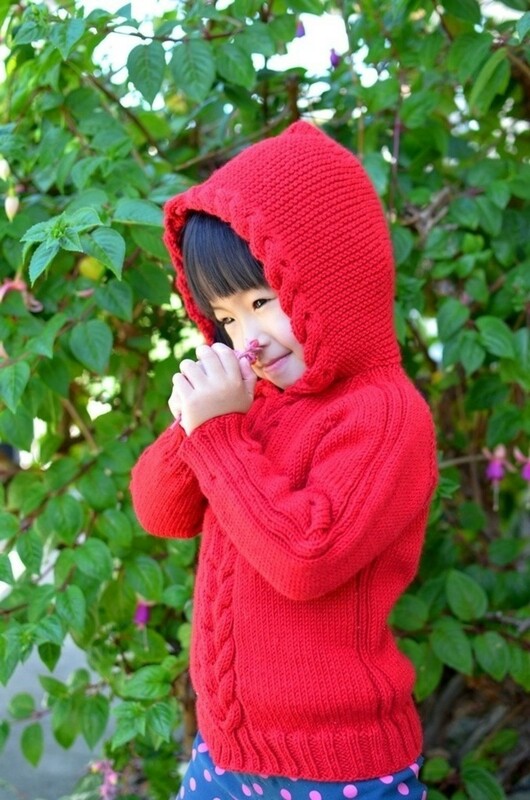 Next year, I am going to try this with my granddaughter (she's 2). My thumb is up, and thanks! Hi mary, thanks so much for reading, yes when my son was small we used to make the decorations and the cards, I miss it now! lol! Christmas is around the corner and we need to make Christmas cards to send them to our loved ones as a way of telling them that we care and love them. I will be able to customize my Christmas card if I make it unlike buying, so I find this hub helpful. Voted this hub up! My children and I used to make almost all of our Christmas cards. 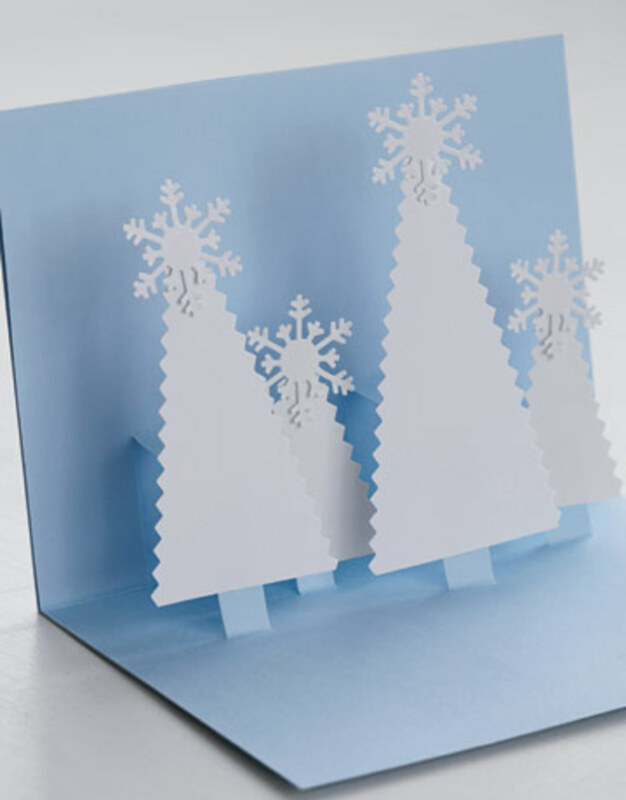 You have some wonderful ideas here for ways to make Christmas cards. I votes this UP, etc. and will share, too. Wao!! thanks I already started building one card for my parents.. thnks!! Great hub,I think I may just try to make my Christmas cards this year. Loved this Hub. I am sure to use some these tips. Thanks! Hi, Athlyn, thanks for reading, yes I was trying to save money this year, and it has worked a bit, but the most important thing is that I have thoroughly enjoyed myself making them! lol! It's the perfect time of year for a hub like this. A friend of mine makes cards (all sorts, for birthdays, special occasions etc). They're beautiful and it's much more thoughtful to create them than buying them from a shop. It's wonderful to receieve them too! Loved this Hub. That pop-up tree is a great idea. As everything gets more expensive, people will be turning to budget-friendly options for the holidays and making Christmas cards is a good way to start. I've always thought of ways to recycle cards instead of throwing them out. This is a great idea. i love it. VERY NICE!!! Hi Nell, My counsin, and aunt are big on making their own cards. I always admire people who actually take the time to make their cards. The video was interesting, I love the way my counsin really personalize her cards. Thanks for sharing with the HB community! And the comment about recycling cards my goodness what a good idea! does enyone know what to draw for thiar mom for chrismas? I make Christmas cards every year and love it. It always seems to mean more to the people who receive it. Great Hub! Christmas cards are such a great project to do:). Recycling old Christmas cards can bring out our creative side:). Thanks! Hi, Activia, thanks for reading, I will certainly give that a try! Great ideas in the computer age! Hi, masmasika, thanks so much for reading it, I love arts and crafts, I used to make bracelets etc for sale at local fairs, this is just another one of my likes! lol! this will be a fun and meaningful activity for christmas. people who will receive it will surely love it. Great hub and I like the pop up approach. Great hub and very helpful. I love arts and crafts too and when I was younger I often created crafts from old things at home. Thanks for sharing. 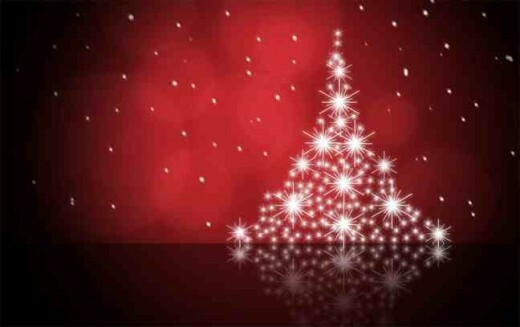 Merry christmas 19 days till christmas !! Hi, kenneth, hope you are well now? nice to see you, and thanks for reading, I love making things, next week it will be something else! lol! Hi, htodd, thanks for liking my idea, it was fun doing it this week, off to a new idea next! lol! Hi, ewelz, I love rediscovering things I did when I was young, I have had a great time this week making them, good luck with dragging them back! lol! Hi, Tina, where you been? lol! Happy Christmas to you too, thanks! My daughters and I often made holiday cards when they were younger, but we haven't done it in quite some time. I love your ideas and video. May try and drag them back to the craft table when they come home! My husband and I have had an ongoing tradition making each other birthday and anniversary cards, but it's usually a bit labor-of-love intensive, so we shy away from making all those holiday cards. Still, you've given a great lesson here for those who have the creative spirit. Cheers! Fabulous ideas. These would be such fun to make and give. Voted up and book marked (with high hopes of creating some cards of my very own). Thanks for some great ideas! I really prefer making cards myself. They are much more personal. I clicked on topics at HubPages and up came many. The first I saw of interest was your Hub on Christmas Cards. Well done, again. I have a granddaughter 18 months old and have been thinking about activities we could do when she gets just a tad bigger. This is surely something I will do with my family. And of course, we all get Christmas cards from well-wishers in the season and those cards are a source of all kinds of images. Saving them can help you to create a wholely new card, too. Thanks for the video about rubber stamping. And, I really like your card with the BOWs!. Thanks so much, and happy holidays. Hi, DabbleYou, thanks for reading, I love making them because it gets me in the spirit of Christmas, otherwise it just seems to be so commercialised, we forget the real meaning, and of course it takes me back to being a child again! lol! What a fun and timely Hub! I really enjoyed the 3-D card video. I haven't figured out yet what I am doing for my cards. I usually take a picture of my children's school pictures grouped together with flowers. Then I use that. Too many kids to gather them all together. Beautiful cards, Nell. And a great hub! I have made my own Christmas cards in prior years. I use rubber stamps and have a fun time making them. It brings out the inner child in all of us. And the ones who receive them feel so special. Lovely idea for the holidays! Not only a great idea but a great thing to do with family. It puts a little bit of Christmas back in Christmas, taking the time to give of yourself. Well done Nell! Making your own Christmas cards can be a fun project to do with your children, or grandchildren, too! 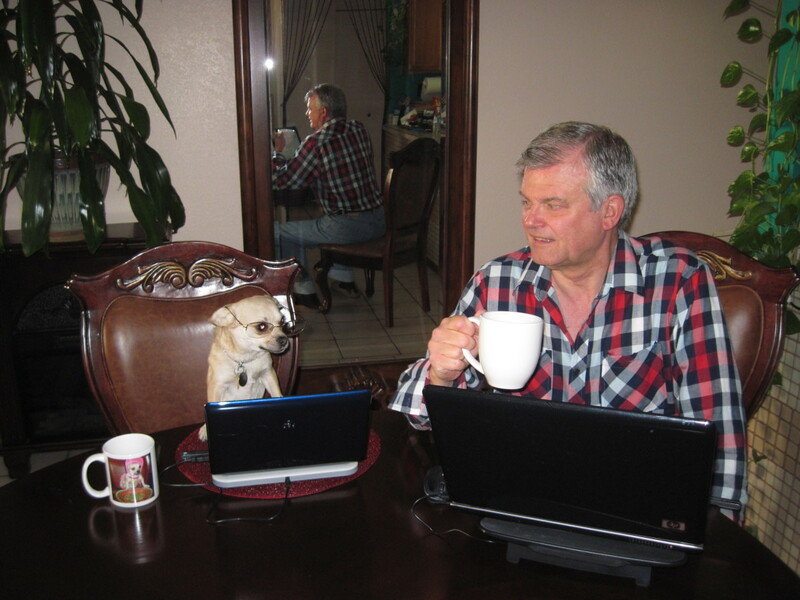 Hi, Diana, thank you for reading, I had forgotten how much fun it is, we seem to live in a world that is so fast and easy to do, buy this get that, but its nice to sit down and make them ourselves, I am loving it! Hi, Case, LOL! I totally understand about the cat! I was accosted yesterday by my friend the tabby! she lives down the road from me and I haven't seen her for ages, she spotted me about thirty feet away and legged it down the road meowing at the top of her voice! she promptly told me off yabbering on, as if to say, where have you been? then she sat on my foot! I couldn't get away! when I tried she swiped at my hand! finally I got away and crossed over, and she followed, so I said in a very stern voice, go Home! she glared at me, turned tail, literally!, and stomped back over the road! I was in hysterics! and people walking by thought it was very funny! thanks for reading, and good luck with the cards! Hi, CMHypno, thanks I am having great fun, they are on the table at this moment waiting for me to start again! lol! Thanks mary, I love arts and crafts, I have a wall full of plaster masks that I made recently too, they are lovely, some are a bit messy but the rest are fine, now its the cards! A wonderful idea. 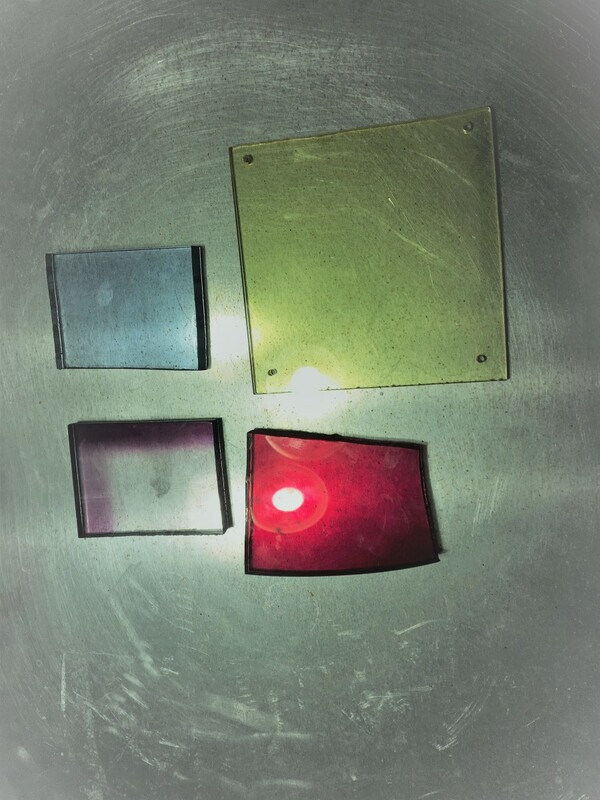 I love making things myself. I made a resolution that, once I retired, I would make all my own cards. I have stuck to that, and it's become quite a family tradition, with everyone personalising their cards with glitter, their own drawings, or speech bubbles. And such fun, too. I did enjoy your article. Good informative Hub. Thanks for some good ideas! Good luck with your cards Nell, and I'm sure that all your family and friends will enjoy them. Good way to occupy the kids too. Great card making ideas. A self made card holds more value for the receiver than a card that is bought. Ms. Nell, what a fun, excellent Hub! I'd much rather get a less expensive, more personal card than anything mass produced, so by golly you've inspired me to make my own cards this year. Maybe not like the lady in the video, though - all that tearing and cutting and dotting and gluing would be too much. Thank you! Voted up, awesome, useful and interesting. I used to make a little extra cash by making cards when I was younger. I really loved it. Thanks for reminding me.